Home at last. 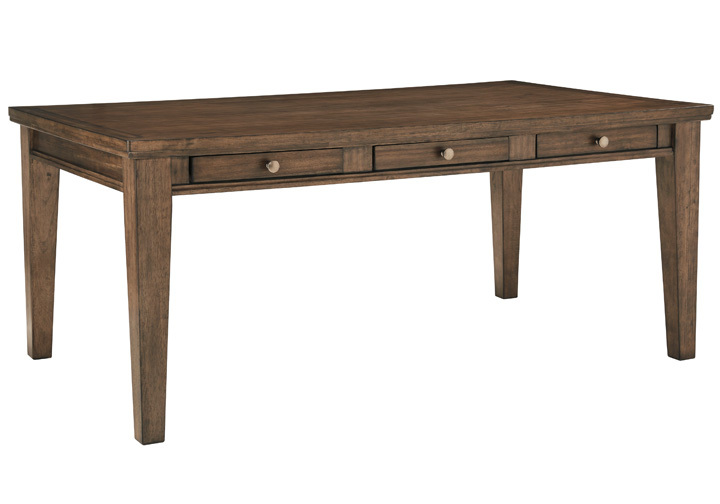 That’s how you’ll feel with the classy Flynnter 5 piece dining set. Earthy, burnished finish has charm that invites you to pull up a chair. Aged brass-tone knobs complete the fronts of three storage drawers on each side. 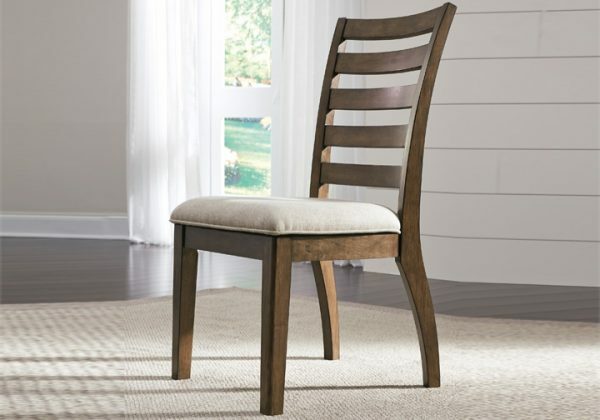 The dining chairs feature stylish ladder back design. The dining bench’s sumptuous seat is upholstered in a fresh neutral hue that’s a delightful complement to the straightforward wood frame, beautified with an earthy, burnished finish. 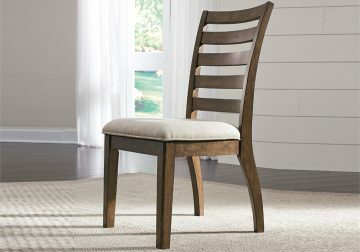 You’ll love enjoying heartwarming meals here. 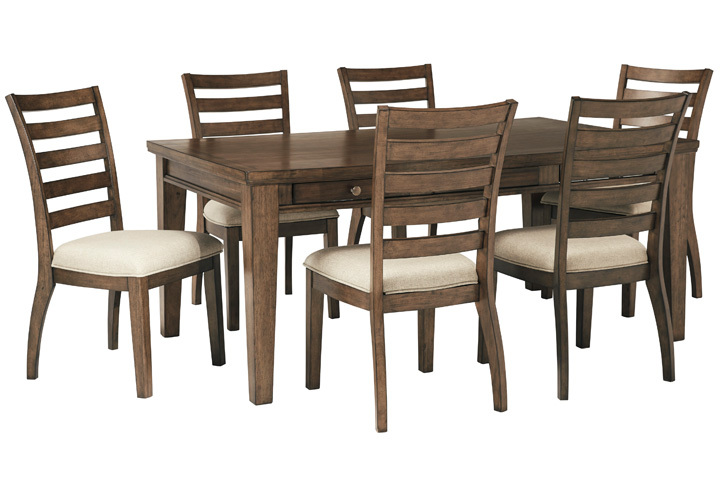 *The 6 piece dining set consists of one dining table, four chairs, and one dining bench.